No matter how much some may be against it, there is an undeniable attraction that fiction readers – and fiction writers as well – have towards the painting of a world post-apocalyptic. This painting has transpired towards more and more genres. From comic books to movies, from graphic novels to video games, and from the TV series to the music making up their soundtrack. Regardless of the multitude of mediums now taking up post apocalyptic stories, the core element remains: the novel. Within the space of writing, the post apocalyptic genre is a genre made up of blackness. In the following we will talk about best post apocalyptic books you need to read in a lifetime. Darkness covers all: an interwoven tapestry of myths and motifs of the obscure, the occult, and the utterly terrifying. 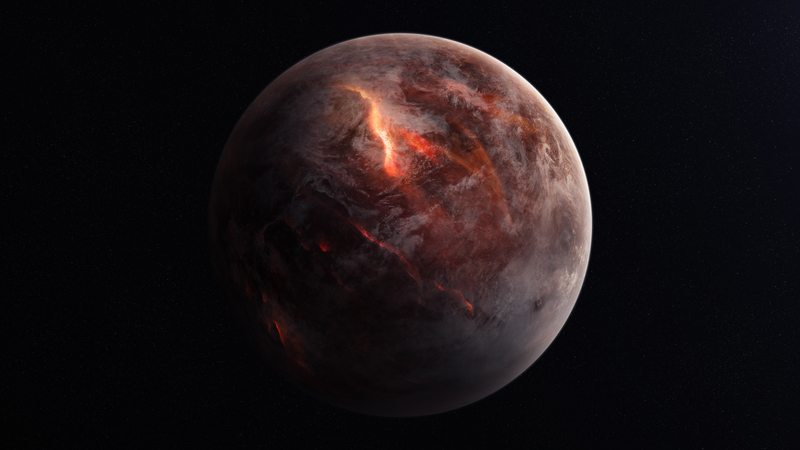 The post apocalyptic space is not just a horror to behold, but also a horror to ponder. Even before seeing gruesome zombies crawling out of the cold earth, or disease spreading across the world like rain, or even the aftermath of a nuclear world war, the mental image of a fallen Earth is profoundly disturbing. Grim previsions – everyone fears that the world may someday look like this. This feeling of failed humanity attacks the conscience at its most primal level: it pushes our imagination into thinking that, indeed, human kind can come to this. Even the most cheerful of optimists can catch this underlying meaning. It is the great merit of the genre as a whole: the making of a feasible scenario by which everything that has happened wrong is imaginable. Be it warmongers obliterating city after city, or mad scientists infecting the whole world – everything is possible. In this sense, post apocalyptic means a step forward from dystopia. Dystopic novels like we see in Orwell or Bradbury have their roots in free imaginative thinking of the pessimist kind – the so called catastrophist thinking. Apocalyptic and post novels go beyond by forcing an already opened door, in an avant-garde manner. When we read dystopic novels, we think that the plot is but a countdown to extinction. In post-apocalyptic novels, that extinction has happened – almost. The people are mutated, some have been made into beasts, the whole fabric of reality as we know it is turned upside down and inside out. The main character of the story is a man called Benedikt. He is tasked with transcribing ancient books to appear as though they were written by the great leader Fyodor Kuzmich – the novel has this dystopian side. He leads what he thinks is a normal life – he has no mutations, he is perfectly healthy and has a house in which he cooks rats for supper. He has no troubles with the establishment as he has never been a free thinker. 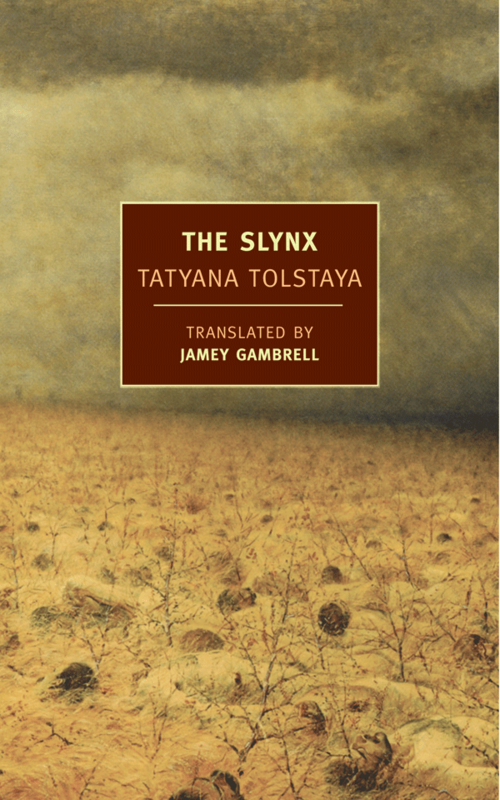 Tolstaya – a distant relative of the great Leo Tolstoy, proves here a master craftsman in building the character of Benedikt. Still, something lurks in the dark space beyond. This something screeches as it waits for visitors. I’m going to let you guess what the creature is called. This next novel also walks the fine line between dystopia and post-apocalyptia. Logan’s Run is a book centered on the dangers of ageism and how this can turn into a dystopia and eventually into an apocalypse. 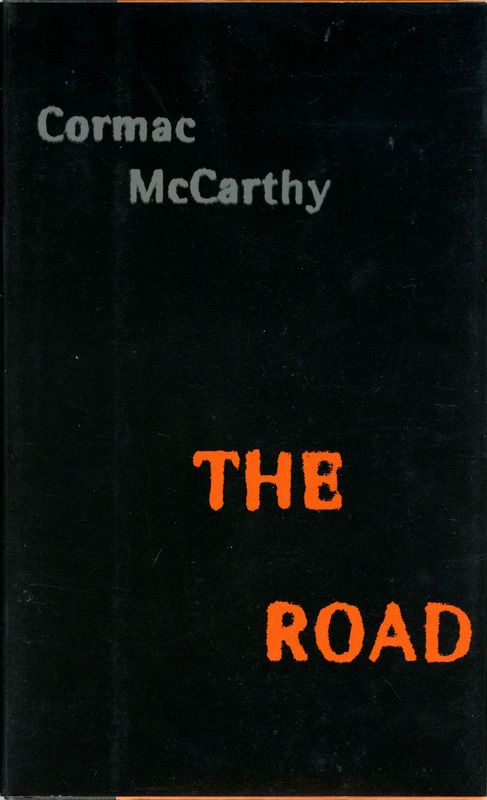 Written in 1967, the book doesn’t do much in the direction of pushing the boundaries of thinking. However, it’s interesting to ponder how things today would’ve looked like if the population of the world would’ve begun to slowly be exterminated on the basis of age, in the 60s. Yes, that’s right. Although not much of the reasoning behind this move is given, we know from the beginning lines of the book that by 2000, all humans on Earth were under the age of 21. Scary and strange at the same time. Logan is a Sandman. Sandmen are tasked with killing all the Runners. The Runners are those who flee when they reach the age of 21. 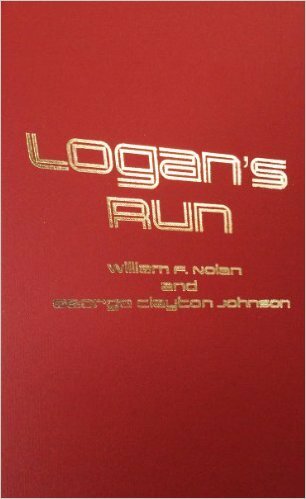 Logan eventually becomes a runner himself – classic move. The rest of the novel I will not spoil. Suffice to say it’s a small, 133 pages, and action-packed dystopian post apocalyptic fiction. Yes, I know, Russian writers have a thing for post apocalyptic novels. Isn’t that odd? Still, the same thing could be easily said about American writers. I will not begin the discussion over which are the best post apocalyptic writers. 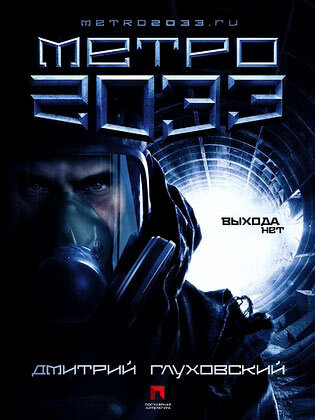 But I will say this: Metro 2033 is beyond amazing. Glukhovsky manages to use a semi-cliché type of theme to write an amazingly complex and intricate book about the remnants of society when all falls down. 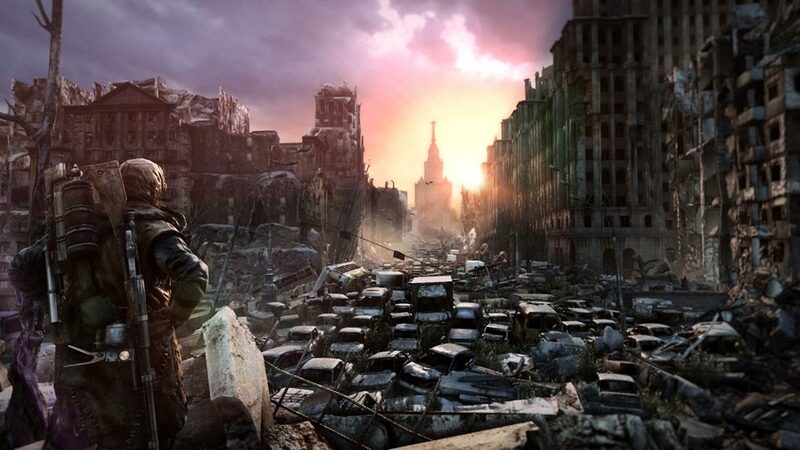 The novel is set in Moscow after a nuclear apocalypse occurred in 2013. Subsequently, the whole population took refuge in the underground – get it, Metro? – and that’s the main premise of the book. Now, you may know this book on account of the far more popular, given the nature of the medium, video game. Still, I do believe that the book may be just as interesting, if not more revealing as to how this dystopic, post–apocalyptic underground world came to be. Beyond the nuclear disaster, upon a world complete with mutated beasts of all sorts, lies the decaying landscape and dying world. However, amidst all this darkness, death, and destruction, there is a faint glimmer of hope. This hope comes in the form of once-human beings that have now turned into something much more frightening – the Dark Ones. Glukhovsky poses great questions through these beings: what makes us human? How can we rationalize with otherworldly beings? Can basic humanity still exist within such strange creatures? In one of the most haunting and flow-of-conscience books on this list, Margaret Atwood presents a character named Snowman in a survival-driven search for his forgotten self. In a post apocalyptic world, this character, which was once named Jimmy, is scavenging for food. We aren’t given the real reasons behind this apocalypse until much later in the novel. Because of the scarcity of food and supplies, Snowman decides to go on a trek into the past by visiting RejoovenEsence. The compound area is dangerous and filled with hybrid animals which have been subjects of genetic engineering tests. During this journey, we are given insight into Snowman’s past though various flashbacks which are narrated by the voice of Snowman himself. 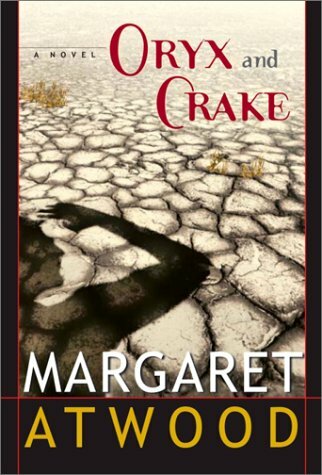 Through these memory lapses, we find out about Crake and Oryx, the two characters who give the book its title. Crake is Jimmy’s friend since the time before the apocalypse. Together they used to watch a range of controversial online videos. Crake eventually engineers a new breed of humans called Crakers that only eat plants and only reproduce during a strict mating season. Eventually, we find out that Crake’s little project has much, much bigger complications. Although it may not technically be post-apocalyptic, but only semi, Suzanne Collins’ mega hit series The Hunger Games surely deserves a spot on this list. The dystopic nature of the plot obviously makes people think about the implications of such a strange society. If you haven’t already heard too much about The Hunger Games to stop reading this part, you should know that it’s a simple, yet complicated type of book. 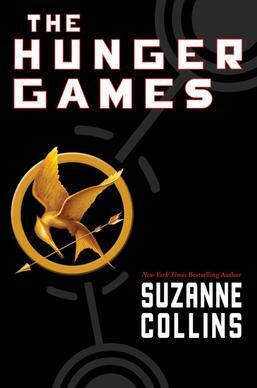 The hunger games are an annual competition in the Panem nation – which makes up for most of North America after human civilization ceased to exist due to unknown circumstances. Katniss Everdeen, of whom you may or may have heard, volunteers instead of her sister, Primrose, to take part in the annual event. She and the male tribute from her district, Peeta, fight to survive against tributes from all the other districts. Through the intricacies of corporate sponsorship, and an ever-changing set of rules, Katniss must muster all the strength she has in order to survive this trial. 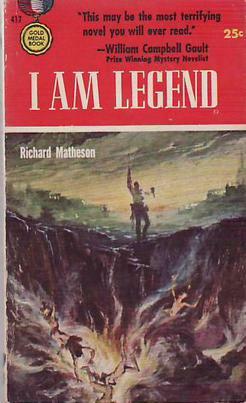 Yes, of course, before the I Am Legend movie starring Will Smith, there was actually… another movie, called The Omega Man, in 1971, and then even another movie called The Last Man on Earth, in 1964. But before all these movies, there was actually – wouldn’t you believe it – a book. The I Am Legend novel by Richard Matheson was published way back in 1954. Matheson was, back then, one of the first ever writers to imagine the concept behind zombie apocalypse books – or, as Matheson called it back then, a worldwide epidemic that could lead to an apocalypse. Here are a few differences from the popular Will Smith movie: the setting is not the New York of 2009-2012, but the LA of `75-77. And that’s just scraping the surface: the original plot of the book features creatures suffering from a type of vampirism, which has its roots in a strange bacteria that affects both living and dead. So no zombies, sorry. 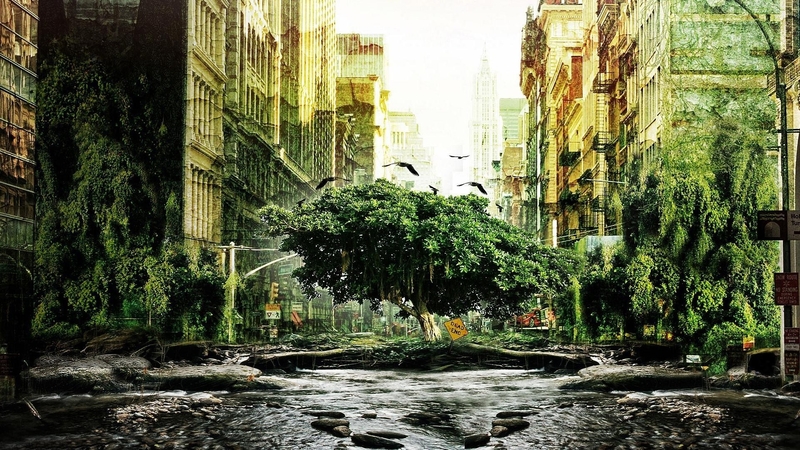 An overgrown post apocalyptic version of New York as seen in the ‘I Am Legend’ film. However much these mythical creatures draw from folk tales and make-belief, the thought of vampire-like creatures overrunning the world is indeed a terrifying one. 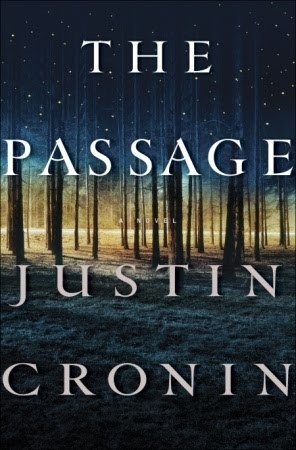 In Justin Cronin’s book The Passage, the vampire apocalypse is given a more realistic context. As has become a given in many apocalyptic narratives – the whole story of this book starts with the US government making a top-secret and risky experiment. This experiment involves death row inmates being transported to a top-secret Colorado facility where they will be tested with a drug capable of greatly improving their life expectancy. As you may have guessed this gives them super-human strength and psychic abilities, essentially transforming them into vampires (or Virals, as they are called in the book). The doctor behind these experiments comes up with the idea of giving the drug to 6-year-old Amy Bellafonte, hoping that her immune system will develop a way of fighting the negative effects of the virus. Of course, then the apocalypse breaks off. 96 years later, Amy is only 15 and it is up to her – and her Viral controlling abilities – to help the remaining forces of humanity fight off the nasty creatures. This almost 900 page epic has been compared with a modern version of Homer, due to its size and mythological weight. Yes, of course, we had to have a novel by Stephen King. It was, simply put, unavoidable. 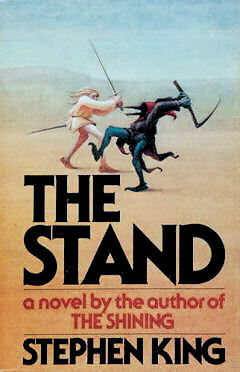 The Stand has been throughout the years considered to be one of the best post apocalyptic books out there. As we have seen in the previous novel as well, the outbreak that causes the apocalypse here is localized at an US Army base. At the base, a biological weapon that is being developed by the army – some sort of enhanced influenza – is set loose amidst the compound. The base, naturally, is put under lockdown, but one man – Charles Campion – escapes together with his family. Thus the apocalypse begins. Due to this single person, the whole world is soon infected, with 99.4% of the population of the world dead. This all happens in less than one month, from June 16 to the 4th of July. A new democratic society called the Free Zone is founded by three groups of survivors in Boulder, Colorado. 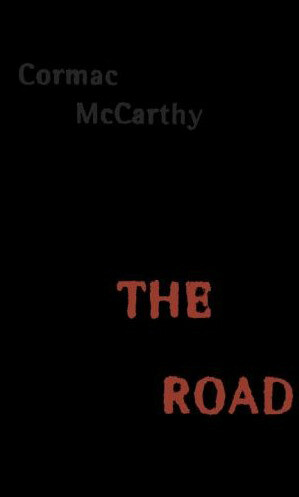 At the same time, in Las Vegas, Randall Flagg – a supernatural being of unknown powers – creates a tyrannical authoritarian society. The two groups slowly become aware of one another, until ultimately they both decide to take a stand. It’s not the subject of the novel that makes this book rank so high on our list. Post apocalyptic sometimes becomes synonymous with zombie. It’s the same thing that happens with Max Brooks’ World War Z. Furthermore, this novel is also one of the best apocalyptic books, not only post-apocalyptic, as it also describes what happened before the apocalypse in a very convincing way. If you haven’t seen the 2013 movie starring Brad Pitt, let’s talk a little bit about what makes this 340 page novel worth a good read. 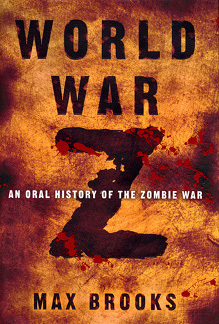 For a relatively small book, this novel is packed with political intrigue and detailed recounts of the political battles and tactics that would be adopted in the case of a zombie apocalypse. This is indeed one of the novels which sparks the most interest on the back of its striking problems that draw from the situation of the world today. The novel is narrated from the point of view of a UN Postwar Commission agent who retells in a journalistic manner the different versions of the story of the apocalypse that passed. Apparently, due to the nature of the politics today, states like China – where the zombie pandemic started – hid the plague from the world’s eye. And this is just one of the complicated matters that have pushed the world into inaction. All in all, this book’s striking similarity to the world as we see it today makes for a more feasible scenario than the whole six seasons of The Walking Dead. The Man is a grief stricken and diseased, rugged father who tries to go on living in a world which has gone through what looks like a nuclear apocalypse – although it isn’t mentioned. The Son is the second character, obviously the son of the man. 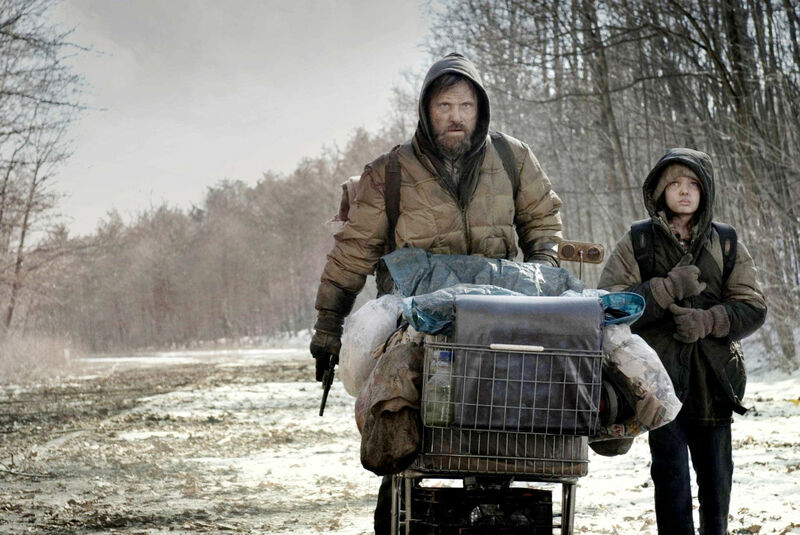 The two trek along a decaying landscape with a shopping cart and various items that they gather along the way – all in a homeless manner. Flashbacks reveal that the Mother had given up hope after the apocalypse and has left them on their own to journey towards the seaside. The father continuously recalls the moments in which they were a family. The only goal of the two is to survive. In the hopes of giving better prospects to his son, and hopefully meeting other survivors, the father sets the goal to reach the seaside. There, he hopes to find other survivors. The novel is a heartbreaking story of love, grief, and lost humanity. The 2009 film based on the book keeps much of the plot, and ads a bundle of amazing actors like Viggo Mortensen, Charlize Theron, and Robert Duvall. This concludes our list of the best post apocalyptic books. As we went along we saw that many were also some of the best dystopic books, and also some of the best apocalyptic books. We’ve had zombie apocalypse books, nuclear war apocalypse books, vampire apocalypse books, and plague or disease apocalypse books. Human imagination never ceases to amaze me when it comes to speculating in how many ways we could cease to exist. We hope that you still have hope for the future after you’ve just read these wholly harrowing snippets of the stories within these books. If you disagree with any of the entries on the list, please let us know in the comments!